Here are our local history photos of the week! 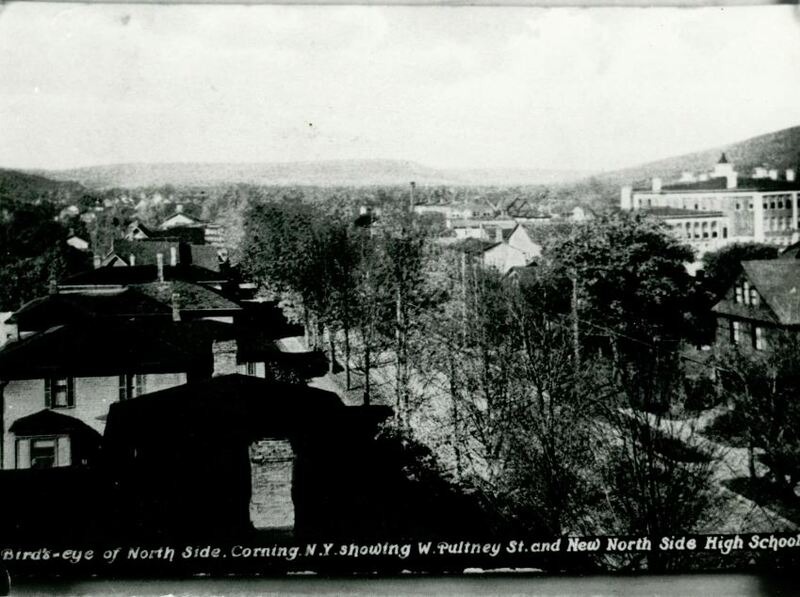 This photo appears to be one of a postcard and it features the title “Bird’s-eye of North Side, Corning, N.Y. showing W. Pulteney St. and New North Side High School. The year the photo was taken is a mystery but it is a neat view!